Level III reserve officers are uniformed police officers who are qualified to carry a firearm at 21 years of age (18-20 years of age cannot carry a firearm). 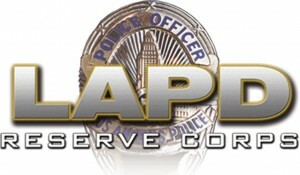 Level III reserves perform various administrative functions within the Police Department. Level III reserve officers are assigned duties at the front desk, with Area detectives and in community relations. Classes are not conducted on days that fall on major holidays. Classroom training methods are similar to those used in institutions of higher learning. Academic subjects are normally taught in a standard classroom setting and appropriate examinations are administered to ensure mastery of the subject matter. As training progresses, role-playing and practical field exercises are introduced. Level III reserve officers also receive approximately 26 hours of basic self-defense, including wrist locks, twist locks, kicks and other techniques at the lower end of the Department’s Use of Force scale. Physical fitness exercises are used to prepare for self-defense training. Standard duty police equipment and uniforms are provided. Additional training materials and equipment may be purchased as needed. Level III Reserve Officers, after graduating from the Academy, are required to work a minimum of 16 hours every 28-day deployment period and attend mandatory monthly reserve officer meetings. Level I and II reserve officers perform the same functions as regular, full-time police officers. They are armed, uniformed peace officers who work in police vehicles along with full-time officers. Classes are not conducted on days that fall on major holidays. Classroom training methods are similar to those used in institutions of higher learning and also mirror the curriculum of the Los Angeles Police Department Academy. Academic subjects are normally taught in a standard classroom setting and appropriate examinations are administered to ensure mastery of the subject matter. As training progresses, role-playing and practical field exercises are introduced. Level I and II reserve officers also receive approximately 72 hours of self-defense training. This training includes techniques available within the higher end of the Department’s Use of Force scale. Physical training includes weight training, calisthenics and running. Level I and II reserves are required to pass a physical fitness and self-defense test prior to graduation. Applicants should begin the Academy in a reasonably fit condition. Their running program should include some moderate to steep hill work. After graduating from the Academy, Level I and II reserve officers are required to work a minimum of 16 hours every 28-day deployment period and attend mandatory monthly reserve officer meetings.